Every 40 seconds someone has a stroke, and every four minutes someone will die from a stroke. Although these facts are staggering, the good news is stroke is largely treatable and up to 80 percent are preventable. Here in Olympia we have a Certified Primary Stroke Center at Providence St. Peter Hospital, serving the Olympia area and surrounding region. 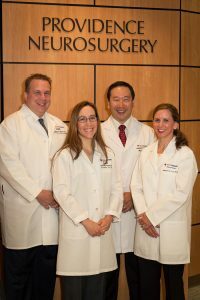 In this area, we are also fortunate to have some of the top neurosurgeons at Providence Medical Group – Southwest Neurosurgery. Dr. Joseph Ho, one of the nation’s top neurosurgeons, recently relocated from the Providence network in California to Olympia. Photo courtesy: Providence. 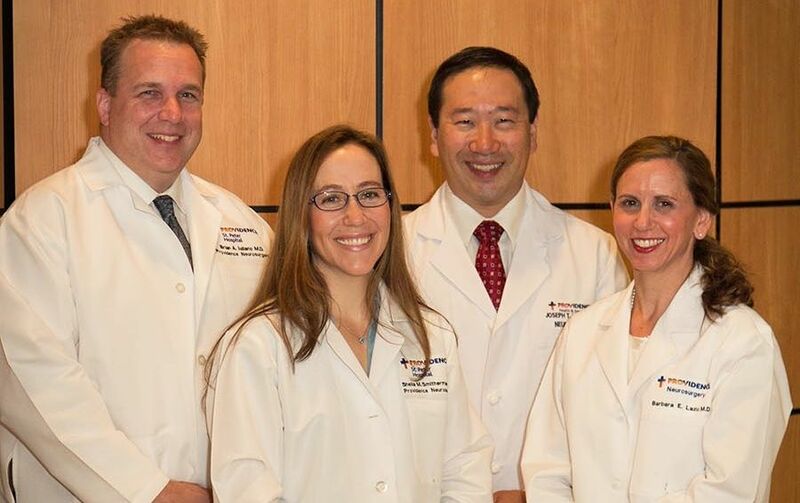 A recent addition to the team, Dr. Joseph Ho makes Providence St. Peter one of the few hospitals in Washington providing advanced endovascular treatment of strokes and aneurysms. 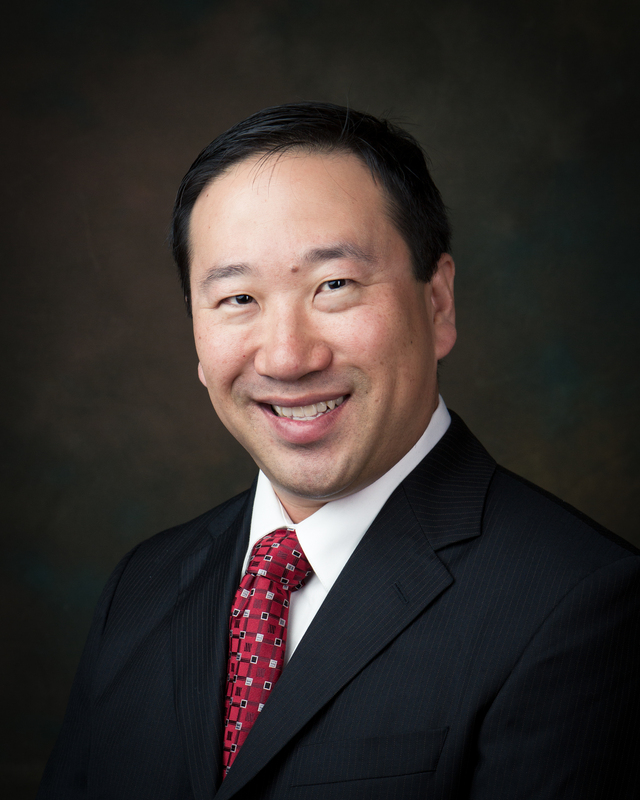 Dr. Ho grew up in the Pacific Northwest and recently returned from the Providence network in California. In addition to treating general neurosurgical diseases of the brain and spine, Dr. Ho has expertise in treating complex neurovascular diseases. This includes both open surgical and minimally invasive endovascular treatment of cerebral aneurysms, arteriovenous malformations (AVMs), dural arteriovenous fistulas, and ischemic stroke. tPA (tissue plasminogen activator), a “clot busting” medication. This medication can be used in some patients who receive treatment within 4.5 hours of onset of symptoms. It is given through an IV in the Emergency Room and works to dissolve the blood clot causing the stroke. Stent retriever is a device that can mechanically remove a clot in a large artery in the brain. The procedure, called a thrombectomy, may be done within six hours of onset of symptoms and in patients where the clot has been identified. This type of treatment, available at St. Peter Hospital, requires specialized equipment and physicians who have been specifically trained to perform this procedure. Providence St. Peter Hospital is proud to be a Certified Primary Stroke Center, treating more than 600 stroke patients every year. Photo courtesy: Providence. The best way to treat a stroke is to prevent it from happening. Certain risk factors can increase the chance of having a stroke. Some risk factors such as age, gender, ethnicity, and family history cannot be changed. Other risk factors can be modified by an individual. Hypertension, atrial fibrillation, high cholesterol, diabetes and vascular disease are medical conditions that can be managed to reduce stroke risk. Lifestyle risk factors are habits or behaviors a person chooses. Lifestyle risk factors include smoking/tobacco use, physical inactivity, unhealthy diet, excess weight and excessive alcohol use. Changing these lifestyle risks can dramatically reduce stroke risk. For example, stroke risk can be cut by 50 percent if a smoker chooses to quit smoking. It is important to identify your personal risk factors and work with you healthcare provider to reduce these risks. When a stroke does occur, the symptoms appear suddenly and treatment options are dependent on fast action. Minutes matter! Calling 911 helps insure a person gets to a healthcare facility that is equipped to care for a stroke patient. Additionally, the EMS providers will notify the hospital in advance and the facility’s stroke team can be ready and waiting when the patient arrives. 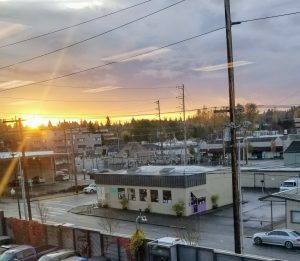 St. Peter’s Stroke Program is one of the largest stroke programs in the state of Washington, treating more than 600 stroke patients each year. The program not only treats patients from Olympia and the Thurston County area but also from six hospitals in five neighboring counties. Ash shares that through the use of telemedicine, 24/7 stroke consultation is available in communities who don’t have a stroke physician. Through a secure network, a physician from St. Peter’s stroke team can examine the patient and consult with the local health care provider as to treatment options for the patient. This tool allows physicians to provide time sensitive stroke treatment much quicker. St. Peter Hospital Stroke Program offers the full range of stroke services from the most basic care to the most current, state of the art treatment for complex stroke. If you suspect you or someone you know is having a stroke, call 9-1-1 immediately. For more information about the stroke unit at Providence St. Peter Hospital click here.